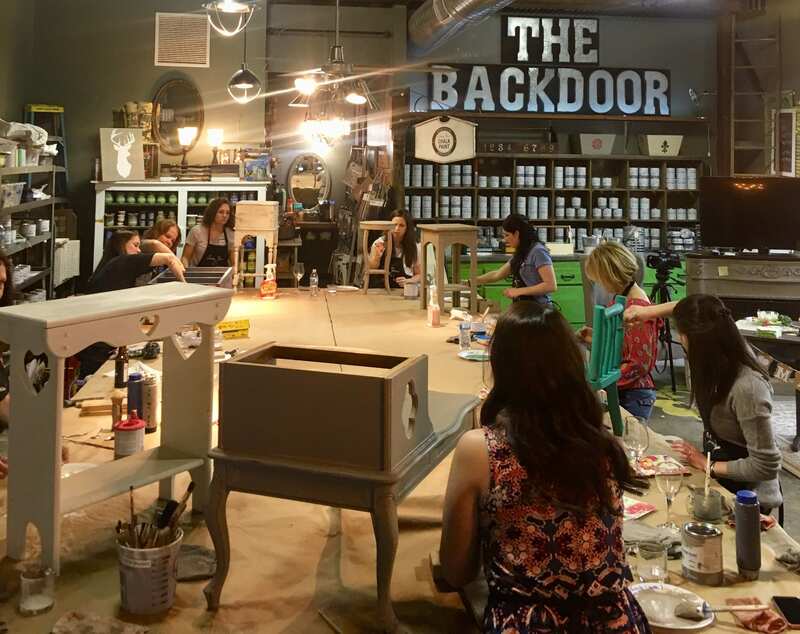 BYOP is a GREAT Girls Night Out! The BYOP session is 3 hours of paint time learning along side our experts! The price includes 3 hours of painting time and all supplies needed to achieve the look you desire on your piece! Your piece cannot exceed 30” x 30” for this workshop. If your piece exceeds the size limit you will need to purchase the can of paint to do your piece and you will be able to take the remaining paint home with you. If you would like to try Gel Stain there is a $25 up charge as you will need to leave the piece behind for 3-5 days while we add an additional coat of gel and the topcoat.